Premier Dr. D Orlando Smith speaking to members of the local business community recently. Amid some level of public uncertainty about the territory’s post-hurricane Labour and Immigration laws, Premier Dr Orlando Smith confirmed yesterday that persons coming into the British Virgin Islands to work will be issued a visa immediately after arriving into the territory. “If there is a requirement for example for a visa, we’ve made that process simpler. Instead of having to wait for several weeks and months to get the visa, we issue you that visa on arrival,” Dr Smith said. The Premier however stated that prospective workers must land jobs before coming to the hurricane-struck territory. 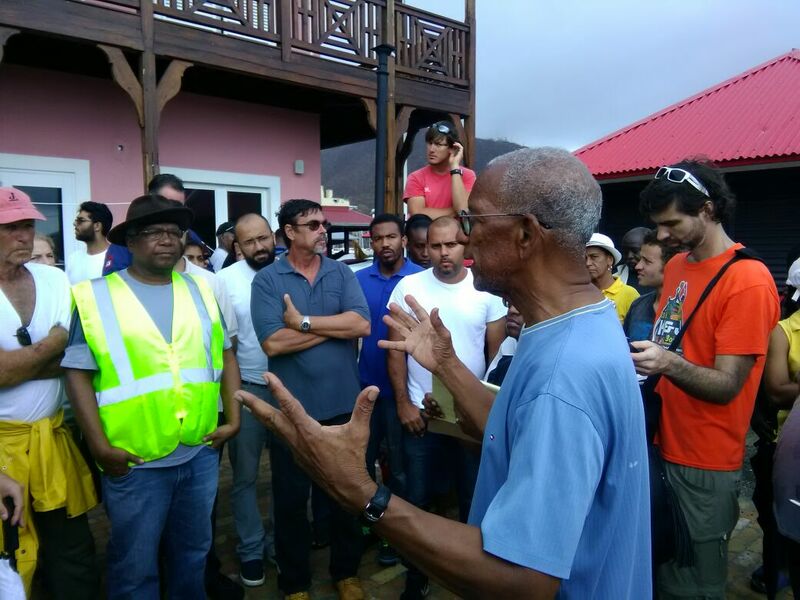 Following category 5 hurricanes Irma and Maria, the Dr Smith-led government relaxed a few of its Labour, Immigration, and Customs-related laws to facilitate ongoing recovery efforts. Government, for instance, said it will not impose tax on select items imported into the territory by residents. It said these tax waivers will last until December. The National Democratic Party administration also promised quick processing of work permits for building professionals such as architects and construction workers who have been described as being vital to the rebuild. A vast number or private and public properties received a massive battering from last month’s hurricanes.